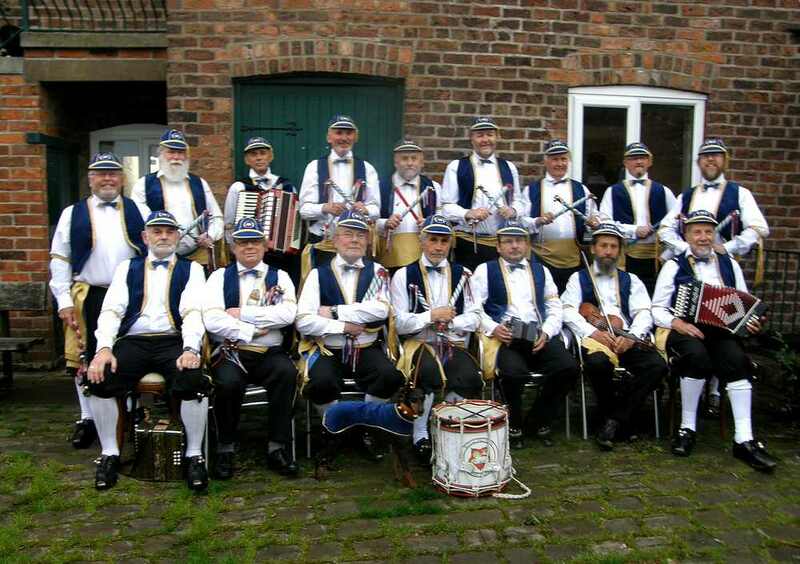 Welcome to the website of the Royal Preston Morris Dancers. We are a men's North West Morris team based in the Preston area performing dances researched and collected from the Lancashire Plain. We are a friendly team, proud of our standards and are always glad to see new faces. The North West Morris tradition shares a history with Cotswold Morris but originates from the industrial towns of Lancashire and Cheshire in the late nineteenth century. The costumes are brightly coloured and the footwear is clogs with irons nailed to soles and heels which accentuate the rhythm of the music and dancing. In the nineteenth century, the dances were performed annually by large numbers of young men in the Rushcart ceremonies which took place in Wakes Weeks. For these dances the team will normally be eight men with sticks or "mollies" (a short rope) in each hand. This type of dance may take the form of a procession, in which the dancers perform a few figures before continuing along the street and repeating the sequence; sometimes it is danced on the spot. The team dances to loud, lively folk tunes provided by squeeze boxes and drums. 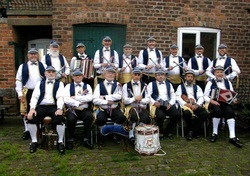 We perform at a wide variety of local events in the towns and villages around Preston. We also dance with other teams in other parts of this country and abroad.